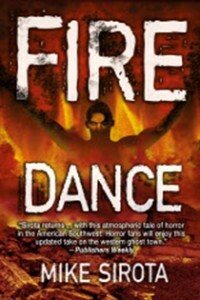 Years ago, when I set my ghost story, Fire Dance, in the Anza Borrego Desert east of San Diego, I had no idea just how haunted this bleak landscape actually was. Well, I do now. 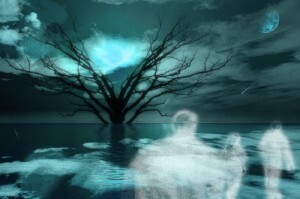 The following stories, first posted on this blog in 2014, are courtesy of the Paranormalistics, a highly trained team of investigative paranormalists and paranormal investigators, headquartered in Carlsbad, CA. Paranormalists are experts in the paranormal field and occult sciences. It is no wonder that so many ghosts haunt the lonely trails, mountains, and landmarks of the forbidding desert. The desert can be so unforgiving and, at the same time, unbelievably generous. Many travelers, prospectors and adventures have gone into the desert, never to return or be seen again. Others have returned with gold nuggets and treasures so rare and unique that we could only dream of being so lucky ourselves. Desert lore, stories and quests for loot and gold have made men greedy. 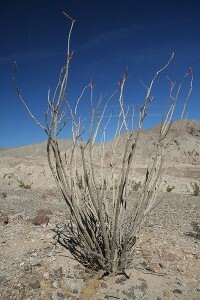 Gunfights, murders, and death from starvation and dehydration have left many dead on the barren desert trails. Their ghosts still walk the mountain ridges, gullies, and deserted locations they once traveled or lived, spirits with unfinished business, who cannot rest. Some guard buried treasures and lost mines, while others battle perpetually until death, forever replaying their last moments of life. The most well-known ghost story of Vallecito is about “The Lady in White”. Late in the 1850s, a young girl from the east arrived by stage at Vallecito. She was on her way to Sacramento to meet her lover, who had struck it rich. She was a frail young woman, worn with the hardships of travel and ill from improper food and doubtful water. She was carried from the coach, put to bed and given the best care available. But nothing could save her, and her fight was a losing one. Her journey came to an end at the Vallecito stage station. Her baggage was examined and a brand new white dress was found. It was to have been her wedding dress. They dressed her in this and buried her in the Campo Santo, a few hundred feet east of the station. They thought they had put her to rest, but on moonlight nights she has been seen, down through the years, walking restlessly about the station. She harms no one but her presence is disturbing even to the most obstinate non-believer. Vallecito is famous for its ghosts. Its history contains many murders, deaths, robberies, and other wicked tales. One story involves a double murder at Vallecito Station. It all started with a stage holdup that yielded $65,000 worth of loot to four men on horseback, who robbed the eastbound stage before it reached Carrizo Wash en route to Vallecito Station. As the men fled the scene, the driver of the stage fired one shot, killing one of the four men. When he reached the thief he had shot, he found not one, but two dead bodies. The driver concluded that the leader of the thieves had shot one of his own men so he would not have to divide up the loot. The bandit leader and one other thief rode on to Vallecito Station. Shortly before arriving they buried their loot in some nearby hills then rode on to the station for a drink and some food. It is said that the two bandits argued while having a drink. The leader went outside to check on his horse, promising to continue the discussion when he returned. He did return to the station, entering through the doorway mounted on his big white horse, and shot his companion. As the wounded bandit lay dying, he drew his gun and fired back at the leader, killing him. The white horse, spooked by the gunfire and death of his master, ran off into the hills. It is said that when someone is in the valley around midnight, near the location where the bandits buried their loot, the ghost of a White Horse will appear from nowhere, galloping through the sand and then disappearing without a trace. If you find yourself out late in the desert night, somewhere between the Superstition Mountains and Seventeen Palms, you may see the apparition of an eight-foot skeleton with a lantern in his chest. A prospector by the name of Charley Arizona first saw the ghost about four miles southeast of Borrego. It was a dark night and Charley had already set up camp and was settling down for the night. Not long after he turned in, something disturbed his burros and he went to investigate. Suddenly, he saw a large human skeleton with a lantern light shining through its ribs. The skeleton walked in a crazy fashion, as if looking for something, or as if it were lost. Shortly after Charley sighted the skeleton, it disappeared over a small ridge. About two years later, two prospectors had a similar experience while camping in the Superstition Mountains. They caught sight of a flickering light in the distance and wondered what it was; it quickly disappeared. One of the prospectors thought it looked like a skeleton carrying a lantern, but they figured it was the fire reflecting off a rock. A year later, a traveler came into the Vallecito Station with the tale of a skeleton he saw wandering in the desert and carrying a light. It wasn’t long before news of the skeleton got around and two adventurers went out into the desert to search for this legendary skeleton ghost. During their third night in the desert, they encountered the ghastly lit skeleton. One of the men shot at it with a gun, but the skeleton continued on, unfazed by the gunfire. The two men followed the skeleton for three miles as it wandered in a strange and intermittent gait, over ridges and through valleys, before they lost track of it. Many believe that the skeleton is the ghost of a prospector who discovered and worked the Phantom Mine, which has been lost for many years. The skeleton is no better off than the rest of us, for he too continues to search for the lost Phantom Mine, wandering the dark desert nights looking for his final resting place. Copyright ©2014 Paranormalistics. All rights reserved. Reprinted with permission. For information visit their blog.